It’s fair to say that I love all things honey scented, I think it's such a lovely pampering and luxurious scent and anything that contains honey is so soothing for the skin and leaves it silky soft. 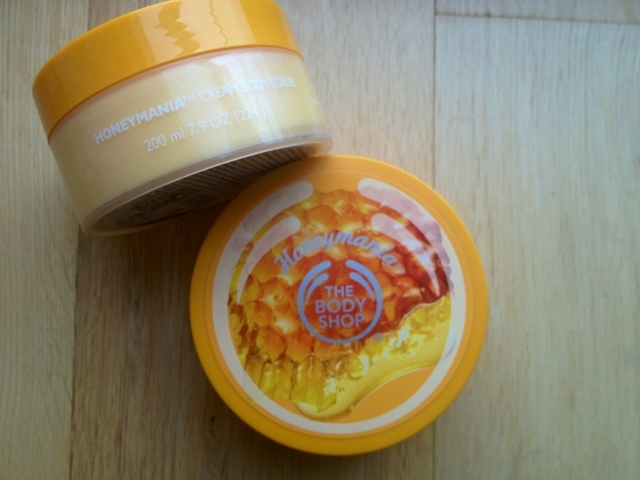 When I heard about the new The Body Shop Honeymania collection I knew I had to get my hands on something from the range. The collection comprises of a number of bath, shower and body products and of course their trademark body butter tub and I've been lucky enough to try out their cream body scrub (£12.50)* and their body butter (£13)*. First off the smell of this range is in-credible, it’s the most deliciously smelling pretty honey scent I’ve ever smelt from a honey range-, without being overpowering or sickly. The cream scrub is a lighter scrub than your normal exfoliator and lathers up to a lovely creamy foam. 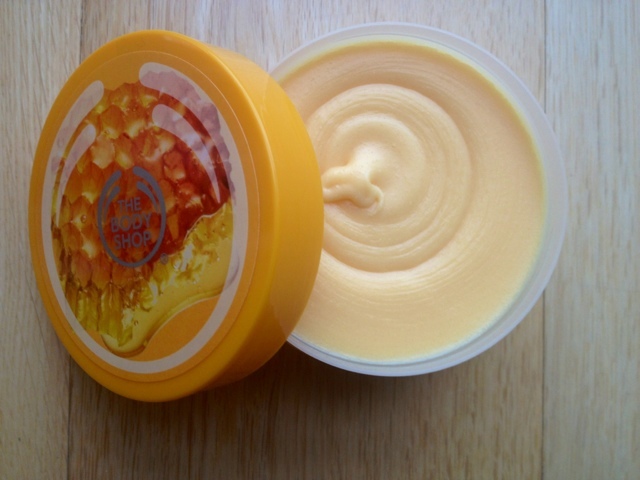 It has quite a hard consistency in the tub but once worked into the skin it feels lovely. 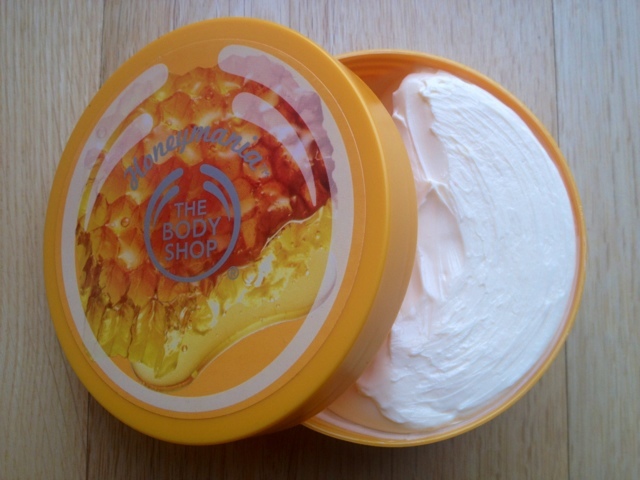 The Honeymania body butter is just like all the other Body Shop butters in that it’s a lovely rich cream that sinks straight in leaving you with beautifully soft skin. What I love the most about this range is that the scent stays on your skin for most of the day so it’s almost like your doubling up on your perfume. I knew I’d love this range before I even tried it as I love most things from the body shop and paired with honey I just knew it would be a win, win. I’d love to try their bath melt and shower gel too, but maybe I should use up some of my other shower bits first! *PR sample sent for consideration.